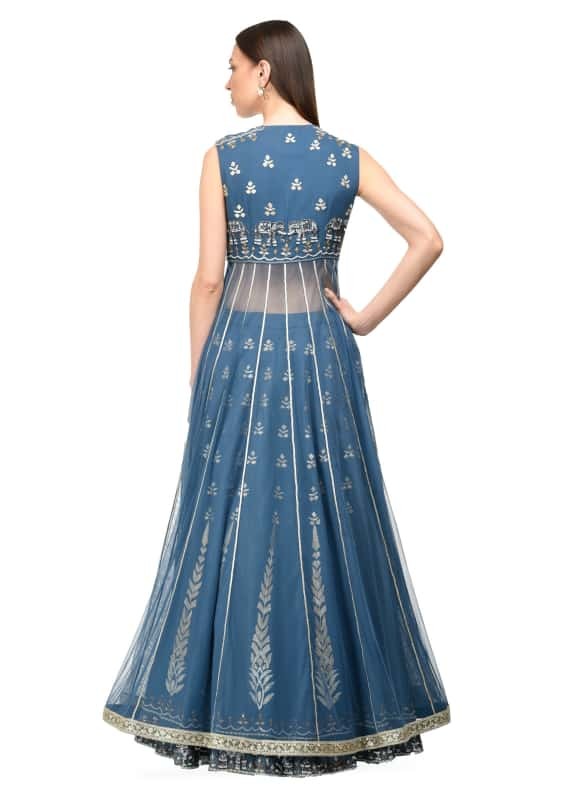 This blue anarkali features gota motifs on the bodice, sequinned elephant motifs on the back, and net kalis. 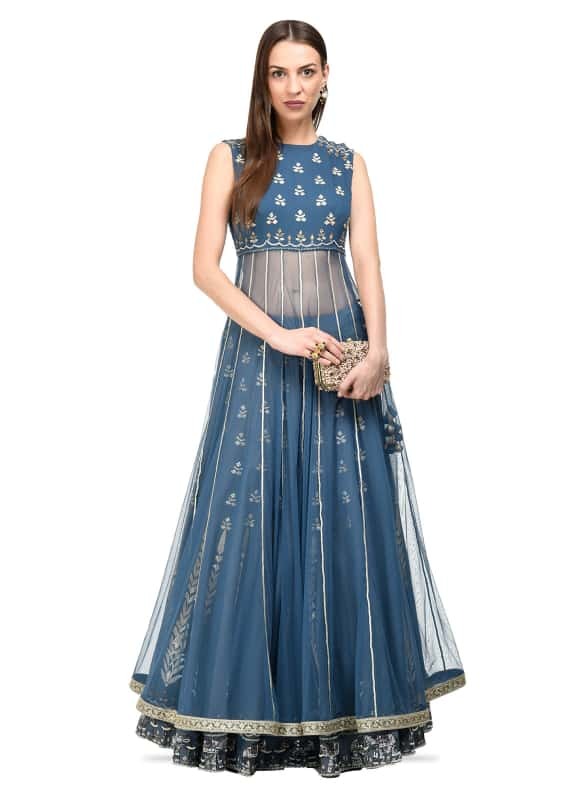 It is paired with a skirt with running gota work and elephant motifs in sequins, cutdana and beadwork on the hem. 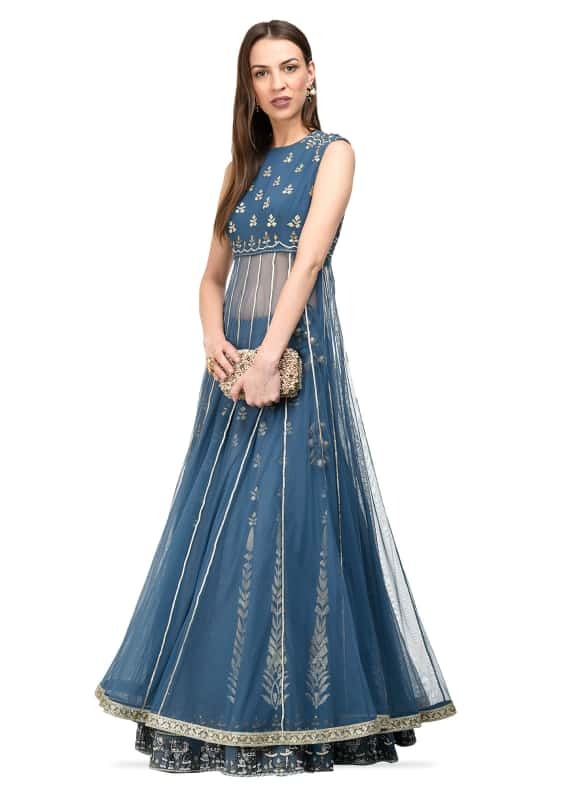 This one-of-a-kind lehenga by Vedangi Agarwal is perfect for brides to be. Wear this elegant yet contemporary look to your Mehendi ceremony, and style it with a clutch by Alana, and gold-plated accessories by Micare.